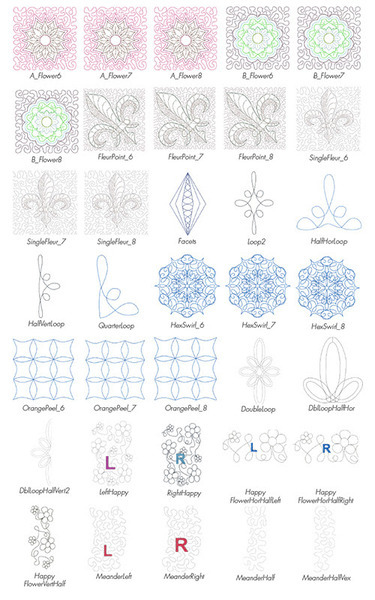 Nothing compares to the precise and uniform stitches you can get from an embroidery machine. 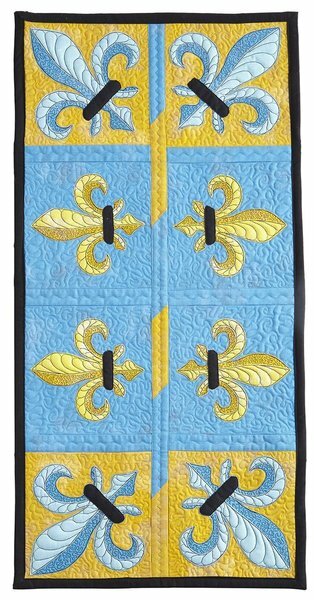 And now you can have that same quality of stitch when you quilt your quilts. 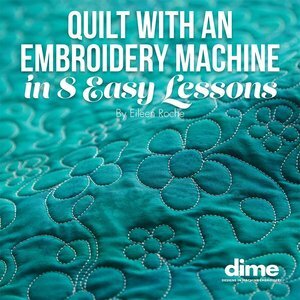 In Quilt with an Embroidery Machine in 8 Easy Lessons, machine embroidery expert Eileen Roche walks you through the steps to making great quilts with your embroidery machine. 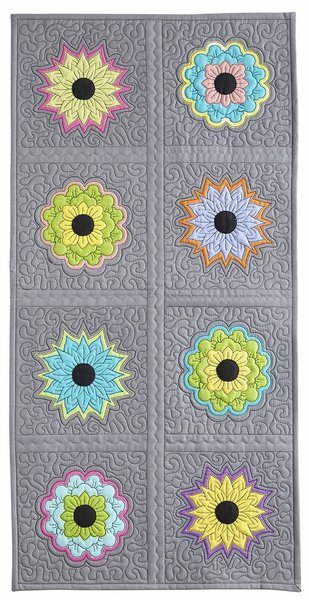 Learn Eileen's patented technique for quilting and appliqueing as you go, then learn how to add custom quilting and allover quilting to your quilts and how to finish them beautifully. 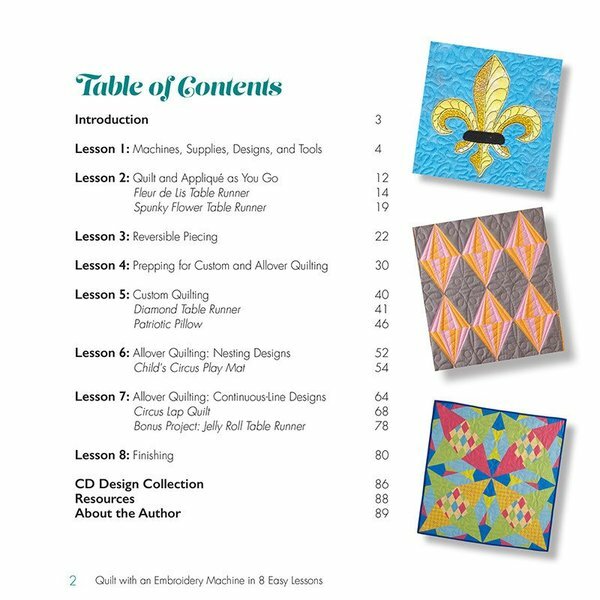 In addition to the eight lessons, you'll learn to create six projects including fun and easy table runners, a patriotic pillow, and a child’s play mat. 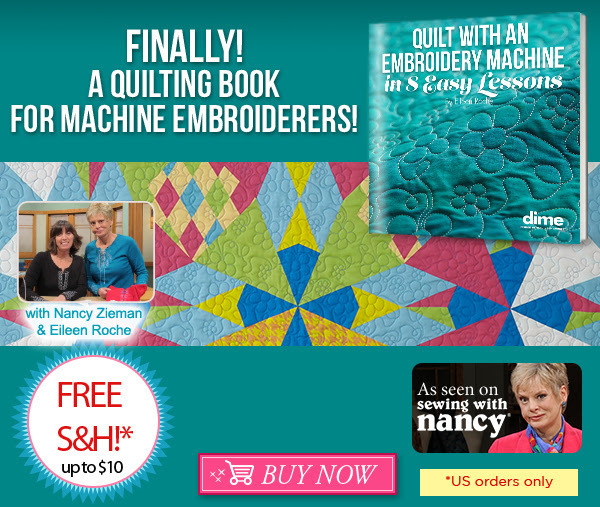 Plus this 90 page book includes all the machine embroidery files you need to create the projects. 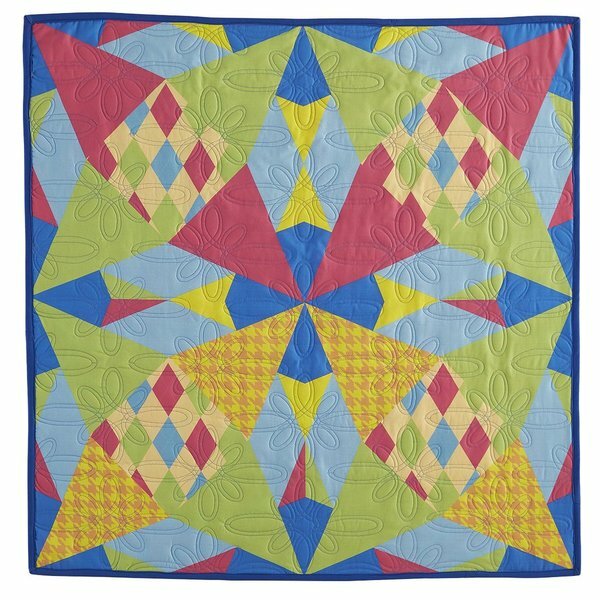 And Eileen shares her personal tips for getting the quilts done and done fast. 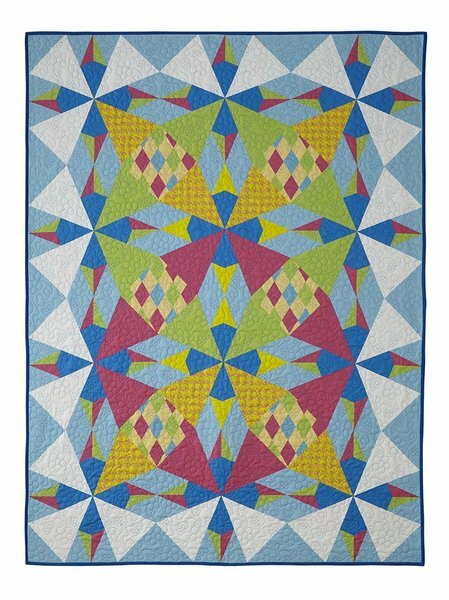 Gather your supplies, prepare your quilt tops, and then get quilting with your embroidery machine! Minimum hoop size: 6" × 10"
I was very happy with your prompt service.